オニオン王国の調理場はいつだってドッタバタ！ 時には海賊船？ 時には高速走行中のトラック？ そしてまた時には流氷の上や灼熱の…… もーてんやわんやで大忙し!! 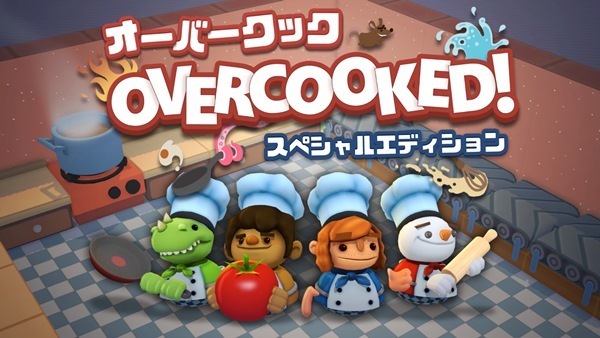 Overcooked. Developed by Ghost Town Games Ltd © 2017. 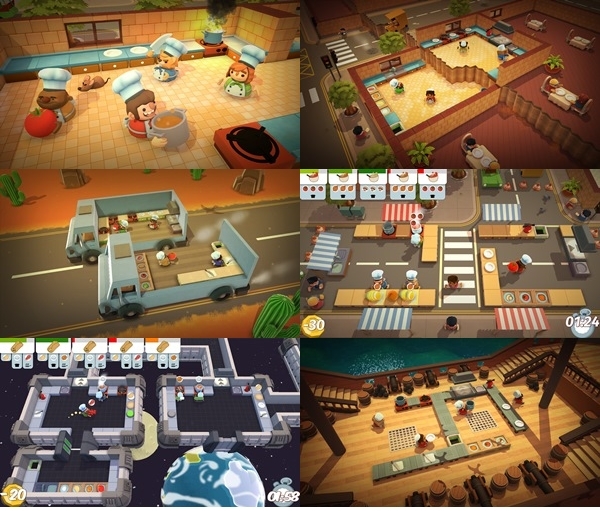 Published by Team17 Digital Ltd. Team17 is a trademarks or registered trademarks of Team17 Digital Limited. All other trademarks, copyrights and logos are property of their respective owners.